Access Control List (ACL) is an important part of the day to day duties of a network engineer. Security being a key part of today’s network design and ACL’s play a very important role in implementing this security. Today’s network engineers and technicians need to have a good understanding of how ACL’s work, how to implement and troubleshoot them. 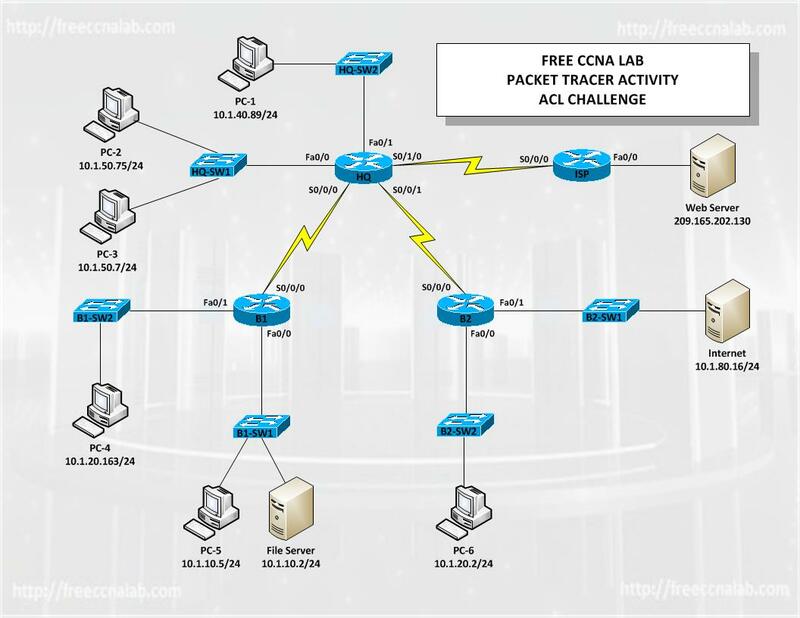 In our previous ACL labs we have used Packet Tracer to create standard, extended, and named ACL’s. In this Packet Tracer activity, you will combine what you have previously learned and demonstrate your ability to configure ACLs that enforce five security policies. In addition, you will configure PPP and OSPF routing. The devices are already configured with IP addressing. The user password is cisco, and the privileged EXEC password is class. Configure PPP with CHAP Authentication.